A lot of people who may be interested on investing in lien certificates always ask this question, are these safe? Tax Lien certificates are made so that the government can collect back taxes on a property owner without taking ownership of their property. These certificates work as a middle man for the government which allows them to recuperate lost tax revenue easily. These lien certificates can be laid on the owner of the property by the state or county taxing authority for the nonpayment of real estate taxes, or the federal government for the non-payment of personal profit taxes. Now when a tax lien is filed on a person’s property, they have no control with the property until the lien has been fully paid. And this includes transferring the title as a gift, or using the said property as collateral for mortgage. 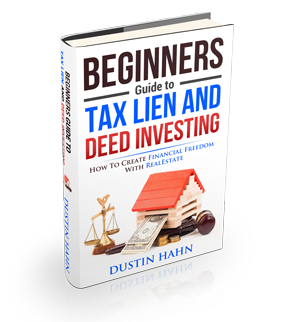 Once a tax lien has been filed, this can be offered for sale at a county, state, or a federal auction. There are also cases wherein the tax liens are offered over-the-counter done by the taxing authority. Prospective buyers can then bid on the lowest amount of interest they’re amenable to accept or they will be offered the opportunity to buy individual lien certificates randomly by drawing lots. When the tax lien certificate is bought, the investor will then pay the full tax bill for the householder thus giving him a set amount of period to pay back the debt with the interest specified. If the debt is paid on time, the tax lien will then be released and the landowner will retain ownership. On the other hand, if the lien certificate will not be fully paid on a specific time frame, the said property’s deed will then be reassigned to the investor and this will give him full ownership rights of the property. And since the government completely controls the process, these tax certificates are indeed extremely safe and profitable. Contact your county for more details and information on tax lien certificate sale process in your area.